The first World-Class Zipline Canopy Tour in the Midwest! This spectacular adventure offers nature-lovers and thrill-seekers a bird's eye view of the beautiful Hocking Hills. The “X-Tour” is a 2.5 to 3 hour, professionally guided, “X-Treme” zipline tour. A hybrid course design, using a combination of trees and towers, this cross-country style zipline boasts 11 ziplines. The SuperZip® tour is over a quarter mile long with speeds upwards of 50 mph. You want "higher, longer, and faster", well here it is zip fans. Included in the "Top 10 Amazing Zip lines in the World”! Now kids can enjoy the thrill of zipping, while mom and dad watch from below. DragonFly boasts a continuous belay safety system that allows kids to enjoy zipping while being attached to the cable 100% of the time. Our OFF-ROAD Segway® Adventures will treat you to a 1.5 to 2 hour guided nature tour, showcasing the unique features of the scenic and historic Hocking Hills area. An interpretive guided adventure that begins and ends with an open-air, 1.5 mile scenic "nature-drive". However, the heart of the tour is experiencing the stunning beauty of the Hocking Hills and an ancient enigma called "Rockbridge"- Ohio's largest natural rockbridge! Do you crave a more diverse adventure? Choose to zip on either our “Orignial Canopy Tour” or “X-Tour”, then bundle it with a climbing or rappelling adventure! Featuring our friends and partners at ”High Rock Adventures”. If you've ever dreamed of zipping by the light of the full moon, this nocturnal tour is made for you. You'll experience the sounds, the smells, and become a creature of the night! These abbreviated 2 hour tours are available for either the "Original Canopy Tour" or the "X-Tour”, and will awaken the zipline enthusiast in you. Award-winning outdoor adventures for the whole family! THE FIRST, THE INNOVATOR'S, THE LEADERS! In 2007, HOCKING HILLS CANOPY TOURS STARTED A ZIPLINE REVOLUTION IN OHIO! Since then, we’ve been nationally recognized for excellence by many prestigious publications. Everything we design and create is with a commitment to our “world-class” status. 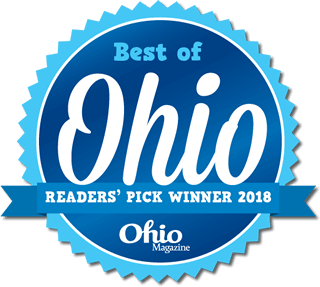 It all started with our world-class “CANOPY TOUR”—the first of its kind in the mid-west—which was awarded “Best Outdoor Adventure in Ohio” three years in a row! (OHIO MAGAZINE) and listed first in “The Best Ziplines in America” (USAToday). We created a zipline wonderland for KIDS called, “DRAGONFLY”. Followed by a higher, longer, faster “X-treme” zipline tour called, the “X-TOUR”! We discovered the coolest way to take a hike in Hocking Hills, with our “OFF-ROAD SEGWAY ADVENTURES”! And we’ll take you on an expedition to the longest natural bridge in Ohio, with our “ROCKBRIDGE ENCOUNTER”! Now in our 10th season, we have zipline and other outdoor adventures for the whole family... more adventures than any other zipline company in Ohio! …AND WE’RE NOT FINISHED YET! 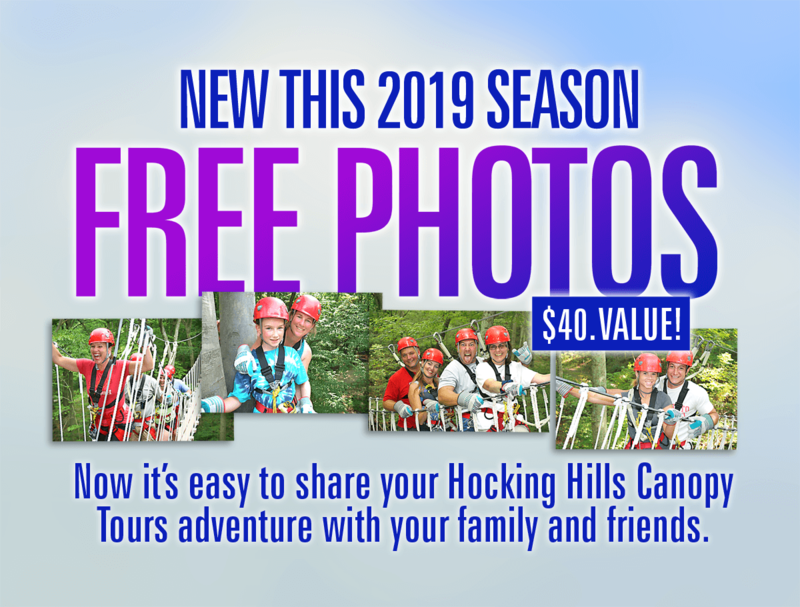 Hocking Hills Canopy Tours is dedicated to designing new and inspiring outdoor adventures that will thrill outdoor enthusiasts for years to come. What’s next… just wait and see! Nobody does “Outdoor Adventure” like Hocking Hills Canopy Tours! THE MOST ACCLAIMED ZIPLINE IN OHIO! HOCKING HILLS CANOPY TOURS has been recognized by many prestigious publications such as: CNN Travel, USA Today, Ohio Magazine, The New York Times, Discovery Channel.com, The Ohio Traveler, The Columbus Dispatch, Trip Advisor, and many more. MORE THAN ANY OTHER ZIPLINE COMPANY IN OHIO! LIKE HOCKING HILLS CANOPY TOURS! Nature-Lover or Thrill-Seeker you'll "find yourself" at Hocking Hills Canopy Tours. We have "World-Class" adventure for everyone in the family. WHAT MAKES HOCKING HILLS CANOPY TOURS "WORLD-CLASS"? Well, there's not a short answer...in fact we have a list of all of the things that make us great!